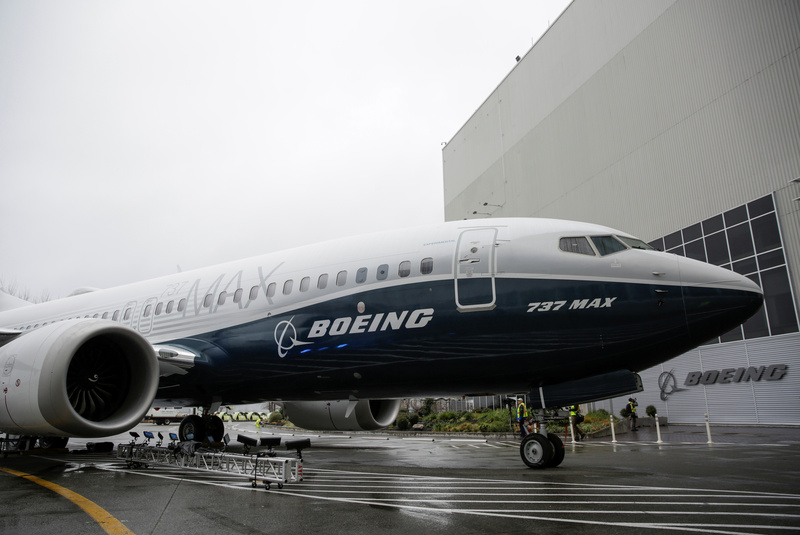 The first Boeing 737 MAX 7 is unveiled in Renton, Washington, U.S. February 5, 2018. Boeing's stock fell 4 percent on April 8. The company announced on April 5 that it would cut production of its 737 short-haul jetliner by 20 percent, to 42 a month, from the middle of this month. Also on April 5, Chief Executive Dennis Muilenburg acknowledged similarities between recent crashes of 737 MAX aircraft operated by Ethiopian Airlines and Indonesia’s Lion Air. The two accidents, which claimed a total of 346 lives, “were caused by a chain of events, with a common link being erroneous activation of the aircraft’s MCAS function,” he said, referring to the plane’s automated flight-control software.